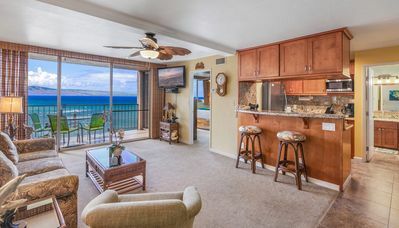 This oceanfront condominium is situated on beautiful Kahana Bay and is centrally located between the Kaanapali and Kapalua resorts, in the quiet community of Kahana. 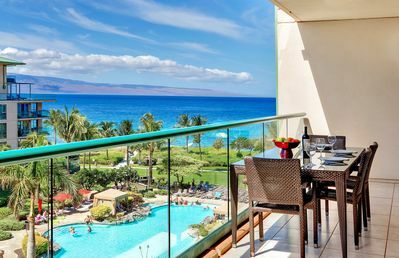 Its central location means that guests are within minutes of all of the activities that make Maui the #1 vacation destination in the world. 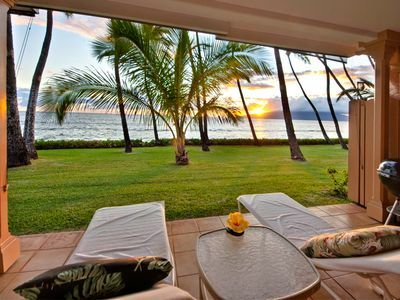 •	Breathtaking Oceanfront Views from your private lanai, living room and bedroom . 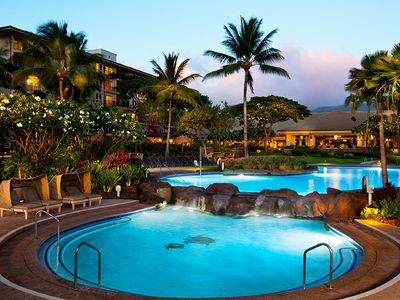 •	Tastefully decorated with Hawaiian tropical décor. •	Free in home private high speed wireless internet. •	Large flat screen TVs in the living room and bedroom. 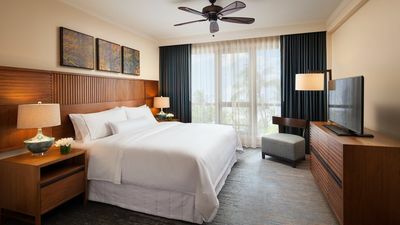 •	Comfortable King size bed in the Master suite. •	Walk in tiled shower. •	Sofa bed with comfortable mattress. •	Beach chairs and cooler. (We try to keep these stocked. Occasionally they are misplaced we replenish next time we are on-island). •	Digital in room safe to store your valuables. •	New efficient Air Conditioning system. •	Washer and dryer in the home for your convenience. 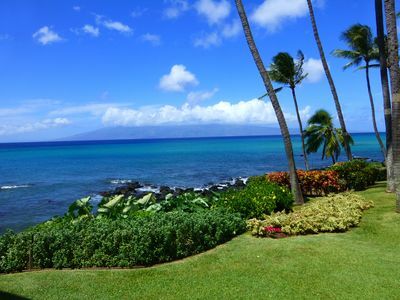 This beautiful home of our friends, Mike and Wendie, is an oceanfront home. 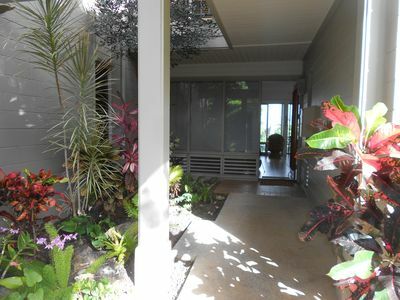 The spacious (780 square feet with a 150-square-foot lanai)has been totally remodeled. The Master Bedroom has a king-sized bed and the Living Area has a queen-sized sleeper sofa. A brand new central air conditioner and ceiling fans provide maximum comfort. 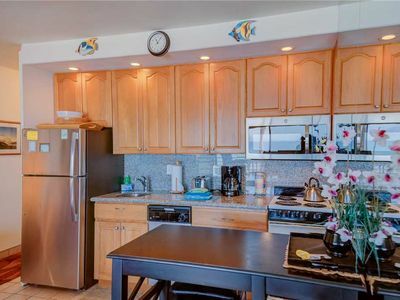 There is a full kitchen, washer, dryer, cable TV, FREE PRIVATE INTERNET ACCESS. 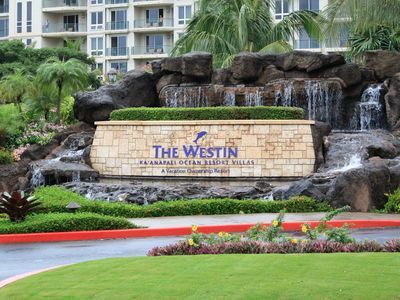 Free parking is available in either the resort main parking lot or its underground parking garage. Local telephone calls from inside the unit are FREE. 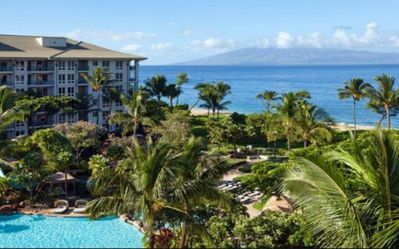 The Royal Kahana has a large oceanfront swimming pool, oceanfront BBQ area, complete on-site fitness room, ping pong table, and, and an onsite Aloha Activities Center/Concierge. 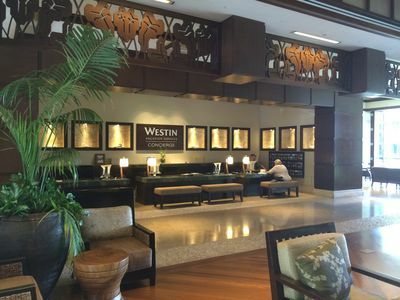 Each morning the activity center offers a FREE continental breakfast, after an informational meeting showcasing their services and activities on the Island. Don't miss it! 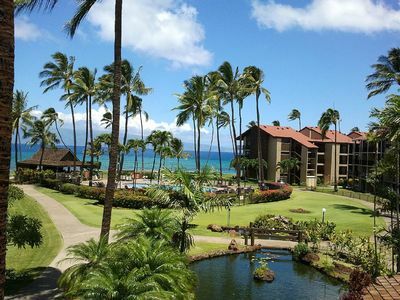 Across the street is Kahana Gateway Plaza, a small shopping mall with several great restaurants such as the Maui Brewing Co., Hawaiian Village Coffee (one of my favorite coffee shops), Maui Dive Shop, a Whaler's convenience store, a McDonalds, and several other shops. 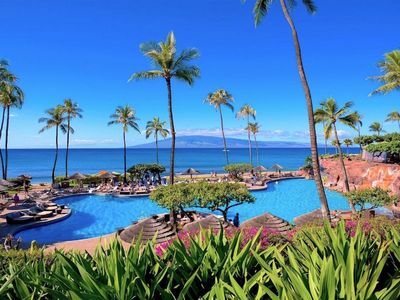 Lahaina, Kaanapali, and Kapalua are minutes away, as are many world class beaches (D T Fleming beach is just north and has been voted one of the best beaches in the world). 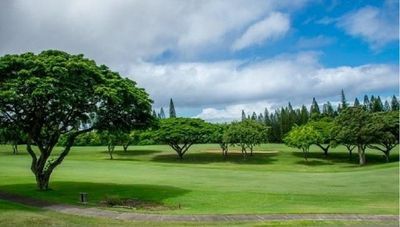 Championship golf at both the Kapalua Golf Course (home of the annual SBS PGA Tour Championship) and the Royal Kaanapali Golf Club (home of the annual PGA Senior Skins Game) are just minutes away. 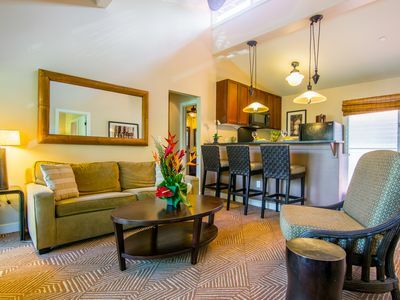 Note: If our availability calendar doesn't show openings during your time frame, or if you need additional condo space for friends or family, please check our website. 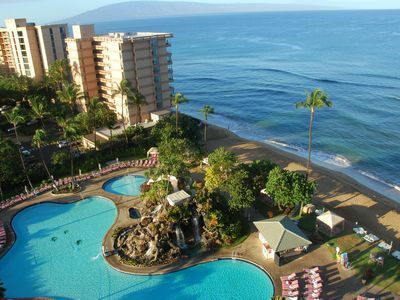 *The beach fronting the Royal Kahana experiences seasonal ocean current changes that influence the beach’s physical appearance and size. 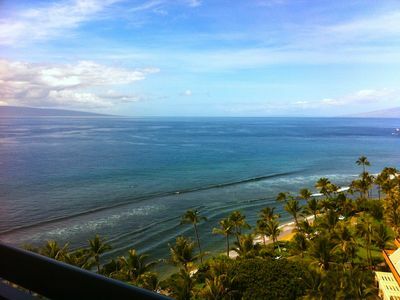 During the fall and winter, it is not uncommon that these currents sweep away a very large amount of sand, which will gradually return back in spring and summer, based on the ocean's current activity. Our homeowners Assoc., The County of Maui, and the State of Hawaii are working diligently to return Kahana Bay to its full potential. This circumstance, unfortunately, affects the accessibility of our valued guests to the beach. 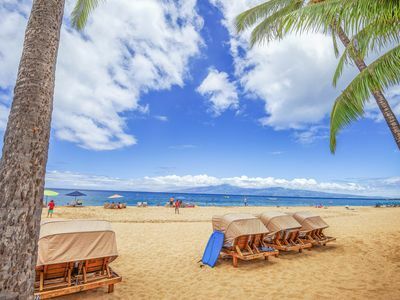 While there may not be, at times, direct access from the property to the beach during the fall and winter season, there is a public beach access within 5 minutes walking distance. Our guests' safety is of the utmost concern for us. We apologize for the inconvenience and thank you for your understanding. Amazing Views! 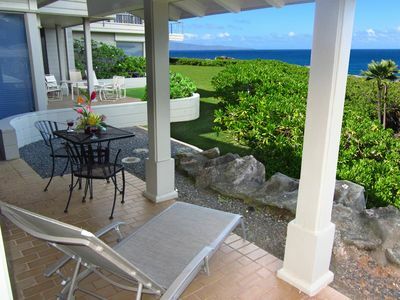 Beautiful Kapalua Bay Villa! 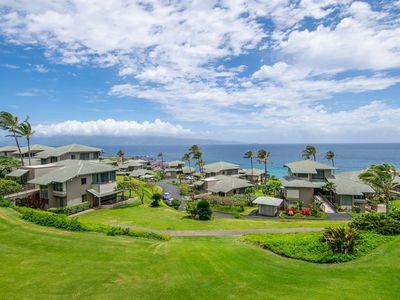 'Kapalua Sunset' has Value and Luxury! Views and Comfort! Book for Spring Now!! 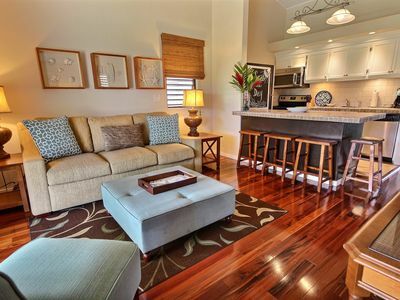 Aina Nalu Premier G204 Last Minute Special - Contact Us for Details!